August 16, 2006. Much has been written about the discovery of facetable copper-bearing (or cuprian) tourmaline, often known by the name of “paraiba,” from Paraíba, the tiny, easternmost state in Brazil where the stones were first mined. 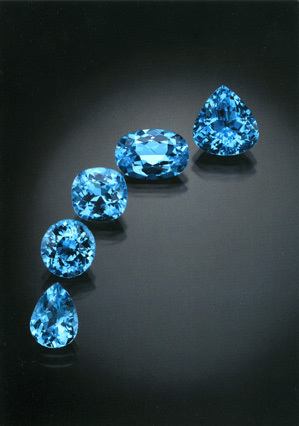 The saga of the stone and its early champion, Heitor Dimas Barbosa, is recounted in articles such as the ICA’s “Paraiba Tourmaline” and Laurie Kahle’s “Big Blue,” published in Robb Report Magazine, September 2004. For a period of five years beginning in 1989 the stones were produced from a small mountainous area near São José da Batalha. While the crystals were never very large, mining today yields little above one carat in size—as if prophesied by the motto inscribed on the Paraíba state flag: NÉGO (Portuguese for “I deny”). 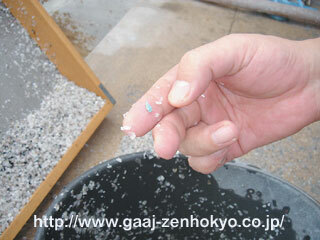 Nevertheless, the mining continues in Paraíba and other nearby localities, as this December 2005 Gemmological Association of All Japan report indicates. But our featured stone (August 2006) comes not from South America, but from Africa. 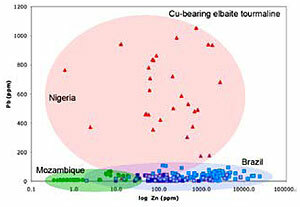 Subjective as this might be, GIA’s Gems & Gemology (Spring 2006) stated that, when mixed in with Brazilian stones, saturated blue-to-green material from the two new localities “cannot be distinguished from the Brazilian material by standard gemological testing or on the basis of semi-quantitative chemical data (obtained by EDXRF analysis).” Spectrometry conducted via LA-ICP-MS, however, successfully revealed chemical fingerprints for material from each of the three countries. 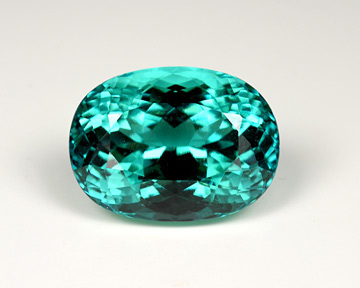 The blue, bluish-green to greenish-blue or green elbaite tourmalines containing copper- and manganese are now uniformly called “Paraiba”, regardless of their country of origin. However, in order to distinguish between the original Brazilian sources and more recent discoveries (currently Mozambique or Nigeria) the origin of these stones is also disclosed on the report. In fact, a July 31, 2006 GGL report reads as follows, with a note attached explaining the various localities of cuprian tourmaline. In our opinion, the chemistry of this tourmaline is consistent with data we have recorded on other copper-bearing elbaite tourmalines. Following up on last month’s overview of paraiba-type tourmaline, we’re providing examples of wording and nomenclature used by several high-profile labs in their reports. 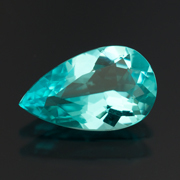 At issue is whether copper-bearing (or cuprian) tourmaline, regardless of its provenance, should be labeled “paraiba” (the locality of its first discovery). Laboratory trade groups around the world have addressed the subject, so we begin with them. consensus was finally reached in April. New gemstone identification reports will call all copper containing elbaite “paraíba tourmaline,” regardless of their origin. This is consistent with current trade practice. To highlight the fact that these gemstones may come from different origins, however, there will be a comment stating that the description is a variety name only derived from the locality in Brazil where it was first mined. A LMHC “Information Sheet: Standardised Gemmological Report Wording” was due to be released in June. These documents can be found on the websites of several of the member labs, such as GGL, GIT, and AGTA-GTC. The consensus on applying Paraiba tourmaline as a variety name instead of an origin name removed the heat from a nomenclature debate that had been building up in the trade as laboratories found they were unable to distinguish between material from Mozambique and that from Brazil. The Jewellery News Asia article states that prior to May 2006, Japan’s lab rules allowed only Brazilian material to be labeled “paraiba tourmaline.” On May 1, the Association of Gemmological Laboratories in Japan allowed cuprian tourmaline to be described as paraiba tourmaline, regardless of country of origin. The decision is comparable with those of the GILC and LMHC. The reason given for the change is the difficulty labs had in positively distinguishing locality of origin. As we reported above last month, however, the material is indeed distinguishable via LA-ICP-MS spectrometry, but we didn’t mention that because this is a laser procedure in which a small sample is vaporized, such as occurs in LIBS testing (see our LIBS follow-up). the locality, assuming that a chemical fingerprint by LA-ICP-MS or other method is requested and performed. We turn now to a sampling of high-profile labs and how they’re putting the new rules into practice. The chemical composition of the stone is not detailed in the report. However, if a client requests an analysis report we do a special test to confirm the presence of copper and manganese. An actual GGL report, dated July 31, 2006, includes a second page explaining the characteristics and various localities of copper-bearing tourmaline, but the report itself reads as extracted below, with no mention of locality. Based on the LMHC agreement, however, in cannot be assumed that the locality, if known or requested, would routinely be omitted from such a GGL report. In fact, GGL has addressed the circumstances under which locality may be omitted in a January 2007 response to Pala International, below. Extract of actual 7/31/06 Gübelin lab report. 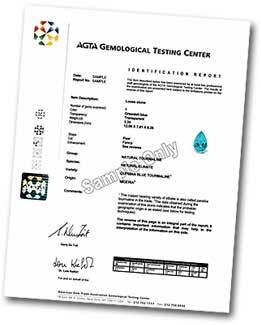 The AGTA-GTC reports for cuprian tourmaline also conform to the LMHC agreement, and come in two variations, based on sample reports we received on 2/16/07—one with origin specified and the other with origin not specified. Variety no longer employs the terms paraiba nor cuprian. See the accompanying AGTA-GTC response to Pala International, below. Extracts of sample AGTA-GTC lab reports, received 2/16/07. Above, with origin specified; below with origin not requested. The Gemological Institute of America (GIA) Laboratory is another LMHC member. An extract of an actual letter “providing information on the results of advanced testing” that was requested for a 6/15/06 report is reproduced below. Extract of 6/15/06 GIA letter “providing information on the results of advanced testing” of a copper-bearing tourmaline. 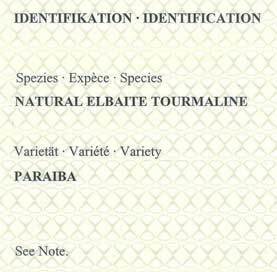 is not yet describing Mozambique material as Paraiba tourmaline on its certificates as it is awaiting the final Information Sheet on the subject from the [LMHC]. Gemmologist Ken Scarratt, who represents GIA on LMHC, said GIA’s position is that once the LMHC Information Sheet is completed and ratified by all members, it will implement its content. 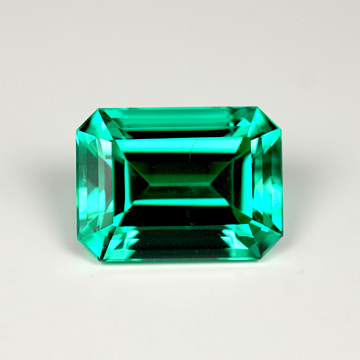 At present, GIA issues a standard identification report stating that a copper-bearing stone is a tourmaline, together with an accompanying letter that describes the chemical composition of the specific stone, relates its chemical composition to that of the original [paraiba deposit] and also mentions other sources in Brazil, Nigeria and Mozambique where tourmaline may presently be found. GiA does not issue geographic origin reports. The SSEF Swiss Gemological Institute is also an LMHC member. 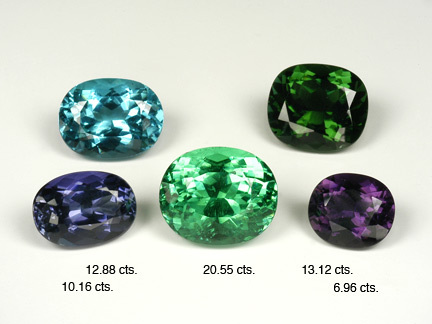 The language used in SSEF gemstone reports for paraiba-type tourmaline consists of the following. Comment: This copper bearing elbaite tourmaline may also be called paraiba tourmaline in the trade. Below are links to images of sample reports. Please note that these reports are for illustrative purposes only and may not accurately reflect current practice by the labs. We welcome any updates; contact Palagems.com. In response to the discussion above, we received a clarification from Gübelin Gemmological Laboratories (GGL) in January concerning its “analytical processes and reporting policies” regarding copper-bearing tourmaline. Dr. Daniel Nyfeler, Managing Director of GGL, made the following points regarding the lab’s practices. All tourmalines with “paraiba-like” colours are tested for their required chemical composition to qualify [as] cuprian elbaite. 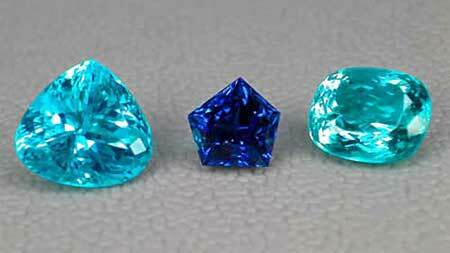 For each elbaite tourmaline which shows a “paraiba” colour, the origin is determined, [mainly] by means of chemical analysis. [For approximately one year we have been able to] positively distinguish all known sources of “paraiba” tourmalines, i.e., Brazil, Mozambique, and Nigeria... We... communicated this to the trade in our Newsletter #10 (February 2006). Please note that we are determining the origin of EVERY paraiba tourmaline, regardless if the client wishes to have the origin mentioned on the report or not. So far, we [have done] this by means of EDS-XRF. The distinction of the three sources [has] so far been very clear and unambiguous. In the future, we might also include results from the LA-ICP-MS machine which we purchased recently. Some clients wish to have no origin mentioned on the report. Thus, we have introduced to issue a Note with each Paraiba report, which explains the [original source] (Brazil) and the newer sources (Nigeria, Mozambique). This should provide the client with sufficient information, i.e., alerting them that, although the report says “Paraiba,” the stone might come from a country other than Brazil. We would also like to highlight that our policy is in perfect compliance with the [Laboratory Manual Harmonisation Committee] policy. It appears that the sample report we discussed above in August 2006 (and posted fully in September 2006) is a report that was issued, as clarified in point #4 above, for a client who wished to have no origin mentioned. The Laboratory Manual Harmonisation Committee (LMHC), consisting of reps from seven major gemstone laboratories, has implemented its reporting guidelines regarding “paraíba tourmaline” as of January 15, 2007, in Information Sheet #6. A paraíba tourmaline is a blue (electric blue, neon blue, violet blue), bluish green to greenish blue or green elbaite tourmaline, of medium to high saturation and tone, mainly due to the presence of copper (Cu) and manganese (Mn) of whatever geographical origin. The name of the tourmaline variety "paraíba" is derived from the Brazilian locality where this gemstone was first mined. The guidelines require the following. Two variations of comments, explaining the use of the term “paraíba” also are provided. A copy of the LMHC information sheet is available here. We have created new [reports] in order to meet the American demand, where we eliminated the word paraiba from the Variety. We also eliminated the word cuprian since in the Comments section the copper content necessary for a paraiba call is explained... Please note that when an origin is not requested, this will be noted on the report. The new reports are posted above. We asked Richard Hughes whether origin is routinely determined by the lab, even if not specifically requested by the client for inclusion in the report. (GGL stated such a practice, as we reported above.) Hughes responded that such origin can be easily established by analysis of the same chemical data used to determine the variety. Following our February 2007 update (above) on gemological lab policies regarding paraiba-type tourmaline, we received a note from another laboratory—SSEF Swiss Gemological Institute. Paraiba tourmaline from Mozambique. This stone has been sold.